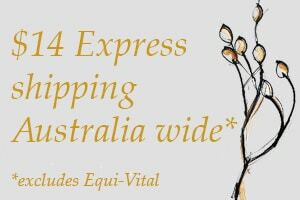 Maddie Shoesmith from Strathalbyn, SA, and her team of 5 polo ponies are just heading home after spending a month playing polo in the Hunter Valley and Hawkesbury regions of NSW. Maddie has prepared all the ponies, a mixture of Thoroughbreds and Stock Horses, on a VF Natural Diet and herbal remedy program, since late 2016 and this is their first season on the full VF Natural Diet. 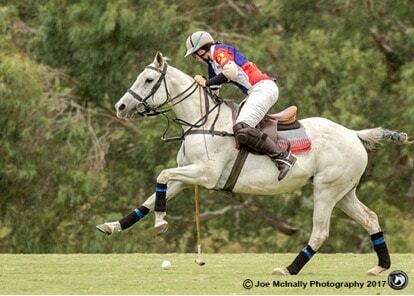 Their first tournament was the State of Origin at Ellerston for Ladies Teams, and then they continued on to Windsor Polo Club in Richmond NSW, where they played mixed 4 goal matches. Throughout the trip, the ponies changed accommodation 4 times, which involved changes in water from town water to dam water and lots in between. Similarly, temperatures in the summer in SA are usually fairly warm to very hot, and very dry. In the Hunter Valley and Hawkesbury regions of NSW the climate is more humid, and a lot more variable. Maddie reports that the ponies had to go through one day of 34 degrees and over 80% humidity, to the next day being 16 degrees and raining, and the change really didn’t affect them at all! Maddie and her Dad, Richard, also played in Victoria earlier this year where Maddie won Champion Pony with Mercedes at the Mingela Ladies Tournament. In SA, they play mixed tournaments as there is only one Ladies Team in SA, comprising Maddie, her two cousins Chloe and Whitney and a West Australian, Joolz, co-opted to make up the team. Victoria points out “One of my main goals with my clients is to give them the tools to deal with common problems and emergencies.” This has worked brilliantly with Maddie as with 20 horses in the stable, including a couple of dressage horses and eventers, there are usually one or two horses that need attention. Maddie is pictured on her best mare Sprite a 14 year old Thoroughbred, at Ellerston in March.